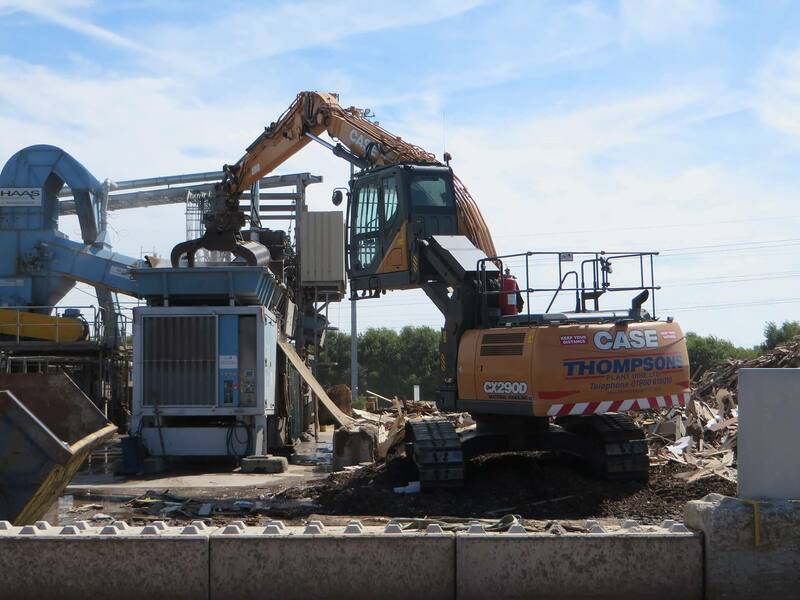 One of the first new CASE D Series 290D MH excavators to be sold in the UK has recently been delivered to Thompson Plant Hire where it’s been put straight to work at Shotton Paper Mill in Deeside. Thompson Plant Hire, based in Maryport on the Cumbrian coast, have a fleet of more than 100 vehicles and operates across the UK. They recently expanded their hire fleet with the addition of a new CX290D MH, supplied by CASE dealer CJ Leonard. One of the latest in the D Series excavator range, the CX290D MH also benefits from CASE’s proven Tier 4 Final engine technology that delivers a powerful and fuel-efficient performance. The Selective Catalytic Reduction (SCR) after-treatment system and Diesel Oxidation Catalyst (DOC) means a DPF-free solution saves time and maintenance costs. The CX290D MH also offers a host of new safety features to ensure the safe operation of the elevating cab. The new CX290 has been put straight to work at UPM Shotton CHP Waste Wood processing plant in North Wales on contract to Tilhill Forestry Limited where it is working in the wood yard feeding the crusher which supplies the boiler for the mill. Specifically designed and engineered for material handling applications, this machine is perfectly suited to working in harsh environments. A reversible fan means the radiators work more effectively, ensuring performance is kept high in these types of dusty conditions. 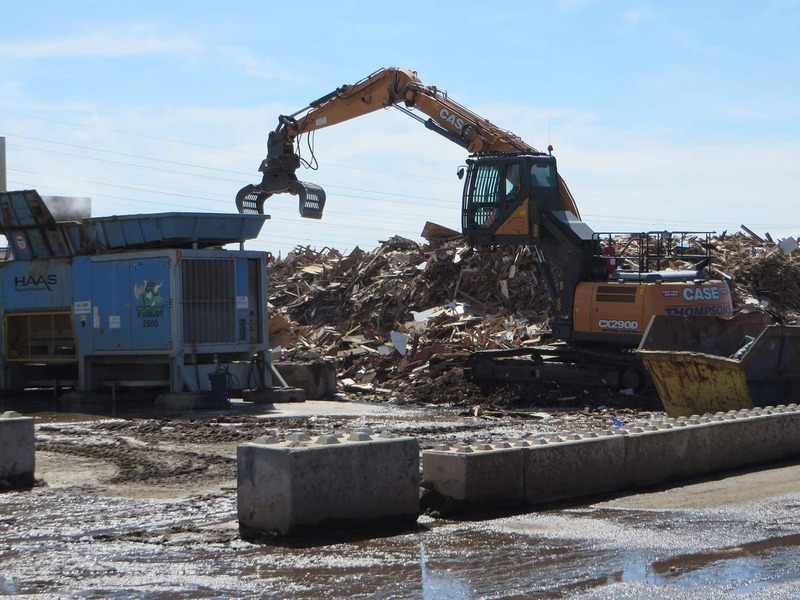 Its superior reach and lifting capacity makes short work of moving a variety of waste, and scrap metal and the dedicated elevating cab provides the operator with a commanding view of the working area from a height of 5.06m. Safety features to ensure safe operation of the elevating cab includes a rigid elevating structure that enables the operator to work with confidence when the machine is at full reach, plus the cab can also be lowered from inside the cab or with an external control switch, for greater operator safety. A new device prevents interference between the machines and its attachments through sensors placed on the bucket cylinder. This means a much less shaky cab, better operator comfort and greater safety around the machine. There is also a new LED working light package which is three times brighter than its halogen equivalent. A third camera is also available to further enhance all round visibility.